We all have strengths and weaknesses. Being reminded of our weaknesses is unpleasant. Therefore, we learn to avoid tasks that require skills that we think of as weaknesses. This avoidance can cause problems and hold you back. For example, if you don’t see yourself as good at networking, you’ll likely avoid it. The more you avoid it, the harder it becomes. When you’ve avoided something for a long time, your skills won’t be as good as someone who has regularly practiced. Therefore weaknesses can seem more pronounced over time. You can end up feeling embarrassed by them. A fun option to overcome a weakness is to find a new way to approach it that utilise one of your core strengths. Your solution could be something like methodically following up with a thank you email, note or text message when a coworker has helped you, or a contractor has done a good job. You’re then essentially redefining the activity not as a “networking” activity but as a “conscientiousness” activity. To achieve the above process in your own life, you need to build your awareness of your strengths. Try starting with a list of 5-6 strengths and 1-3 weaknesses. 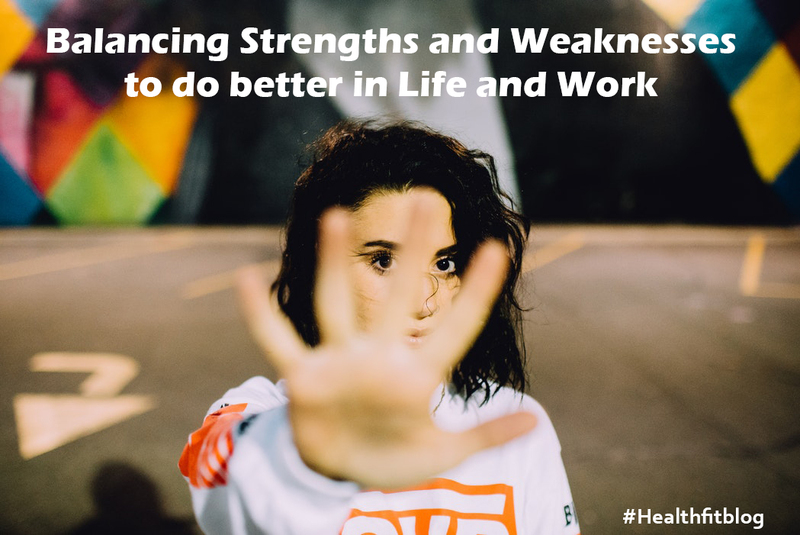 Point out in 2 columns, and then divide the strengths to the weaknesses where you think you could use your potential and apply your strength to a weakness. You don’t need to be 100% sure how you’re going to do it just yet. Go with your gut of what you think might be applicable. For the weaknesses, you should focus on one thing which is getting in your way. For example, that’s could be related to finance, relationships, or health issue. There are many options for how you can redefine an area of weakness. You could redefine networking activities in terms of living the ‘do unto others’ principle – you might think about how you’d like to receive a thank you when you’ve helped someone, and therefore you’re going to treat others the same way. When you redefine tasks you’d normally avoid in this way, your urge to avoid will lessen. This will then have a snowball effect because when you start practicing a task you’ll build both skills and confidence and will allow you to expand your comfort zone, a little bit at a time. This exercise can also be done with a coach.